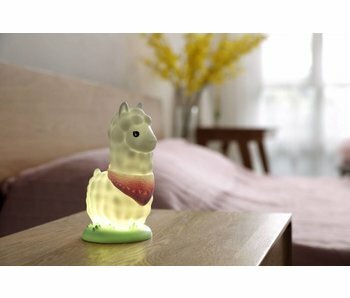 Cute gift for children: a color changing LED night lamp in the form of a alpaca. Oh so great in the children's room! Rechargeable via USB. So cute, this little LED light from A Little Lovely Company. Kids will looooove this little lamb. Includes smart timer option which automatically turns off the lamp after 15 minutes. So cute, this little LED light from A Little Lovely Company. Kids will looooove this little whale. Includes smart timer option which automatically turns off the lamp after 15 minutes. So cute, this little LED light from A Little Lovely Company. Kids will looooove this little duck. Includes smart timer option which automatically turns off the lamp after 15 minutes. So cute, this little LED light from A Little Lovely Company. Kids will looooove this little deer. Includes smart timer option which automatically turns off the lamp after 15 minutes.